Teach students to think for themselves. 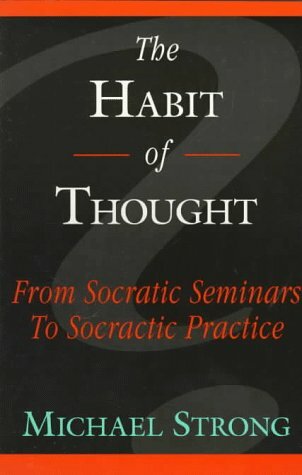 The Habit of Thought describes the theory, practice, and vision of Socratic practice, a novel and increasingly widespread approach to classroom instruction. In this series of thought-provoking essays, Strong argues that Socratic practice fosters a culture of learning in the classroom and ultimately helps young people become mature, independent thinkers. Issues discussed range from the philosophical (intellectual dialogue and integrity) to the practical (classroom models and evaluation rubrics).